Shake it. Tug it. Throw it! 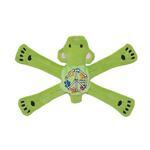 However you and your pup play with the Hippie Penta Green Bear by Doggles, just make sure you enjoy it! Way tougher than your average plush dog toy. No extra seams. The entire toy is one cut piece of fabric. Inside sewing reinforced with nylon tape for durability. Internal "X" of nylon webbing creates a tough tugging toy. Soft on dog's mouth. Squeaker in body. 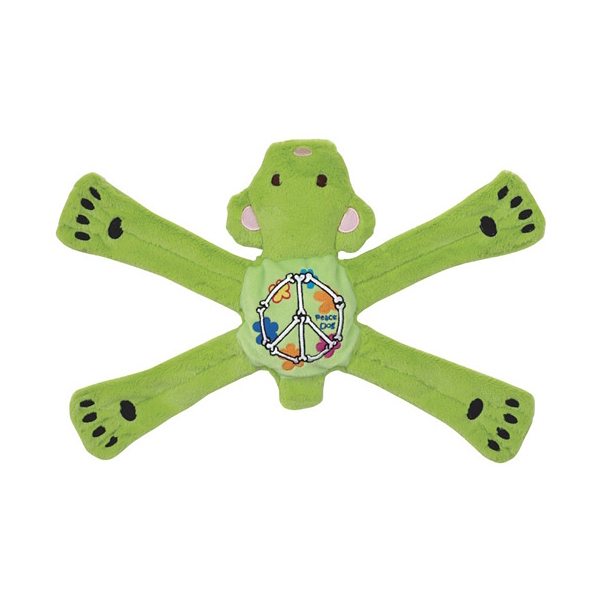 Cute embroidered Peace Dog and peace sign of dog bones. Measures 17" from paw to paw. Posted On 07/02/15 by Joy U from LAKE CHARLES, LA Yes, Joy U recommends this product! This is one of her cutest toys. I just love it, and so does Helen.